Autumn is just around the corner now that it is September and I have to say, I can't wait! Autumn is probably my favourite season, I love the fashion and makeup trends that come around. To mark the start of the new season I thought I'd share my nail polish and makeup picks, starting with nail polish today. I'm a big fan of autumnal colours like purples and reds so those are the kinds of shades that I like to wear on my nails in the colder months. Cold weather doesn't mean that we have to wear dull colours though, I think wearing a pop of colour is really nice even when it's raining! Essie are one of my favourite brands when it comes to painting some colour onto your nails, even though they are a little pricey. I've had the shade Plumberry for over a year now and it is still a favourite of mine for A/W. I think it is just the perfect berry shade for Autumn, it has a lot of pink in it but the berry tones soften it a lot to make it more Autumn appropriate. This is one nail polish that I'll definitely be repurchasing when my bottle runs out, regardless of the price. Another shade from Essie that I know I'm going to use a lot this Autumn (and Winter) is Bahama Mama. It's a very deep purple shade with warm undertones, it's such a beautiful colour that I think would suit a lot of people. I can't wait to get some more use out of it as the temperature drops. I never used to be a big lover of grey nail polish but when these two shades joined my nail polish collection I found myself enjoying using them both a lot. 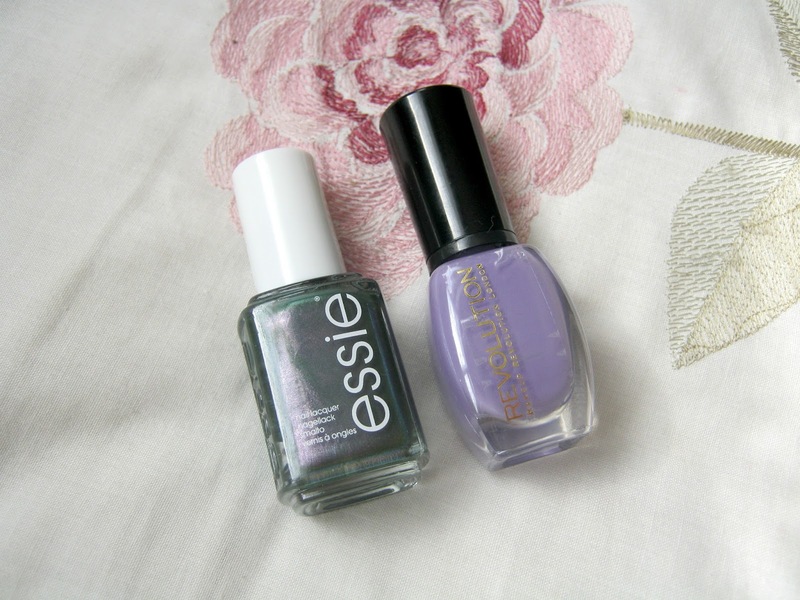 The Essie nail polish is a light grey with some brown undertones, it's quite basic and great for a simple look. The cheaper MUA nail polish is a lot darker and more of a standard grey, for only £1 it really has impressed me though. These last two picks are a bit different from the rest. 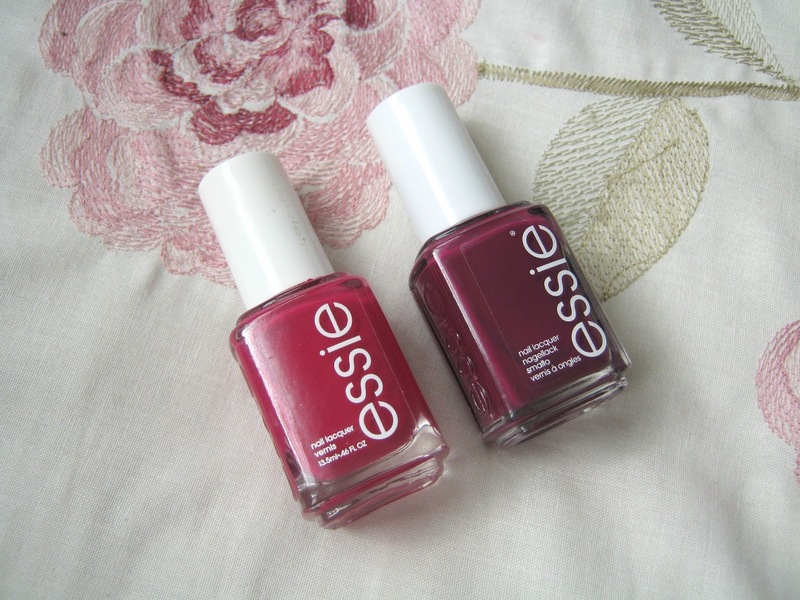 Again another Essie nail polish, I'm such a big fan of them! I really love the effect that this one gives off, it is duo-chrome and gives off so many different colours, it is dark though so I haven't been using it during Summer, I can't wait to get it back out for Autumn though! Finally my last pick is this Makeup Revolution Nail Polish, I think it's a great transitioning shade, it's brighter than the rest so great for going from Summer to Autumn. It isn't like my Summer purples/lilacs though, it's a bit more dulled down making it great for the upcoming months. So, that's my six Autumn nail polish picks for this year! I actually did this same post last year, it's interesting to see the differences between my picks then and what I've chosen this year, take a look here. What nail polishes will you be wearing a lot this Autumn? I need all of those Essie shades, they look so nice! Love the look of Bahama Mama! So pretty!